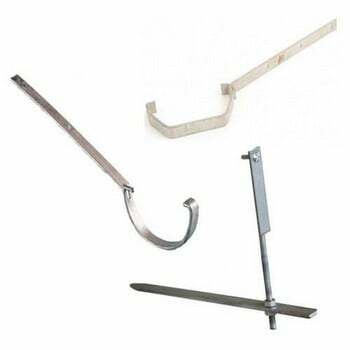 A vast range of Polypipe guttering sizes 75mm half round guttering, 112mm half round guttering, 112mm square guttering and 117mm deep guttering. 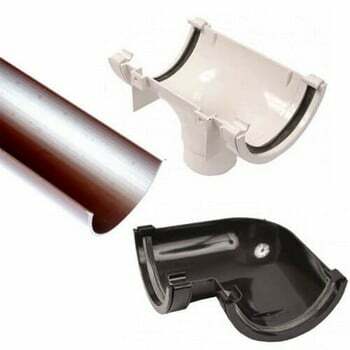 The range of Polypipe 75mm small half round rainwater guttering is available in grey, white and black, products including gutter unions and gutter angles. 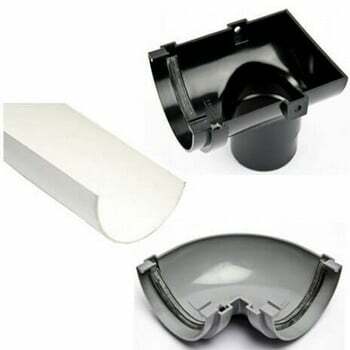 Polypipe 117mm large, deep rainwater guttering, such as deep running outlets and external stop ends. 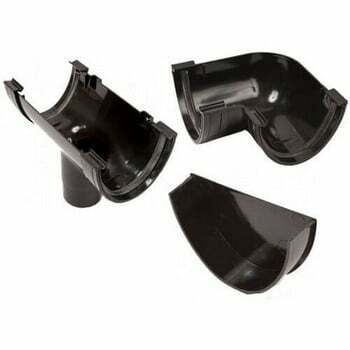 Additionally Polypipe 112mm standard half round rainwater guttering is available with gutter unions, fascia brackets among other products. 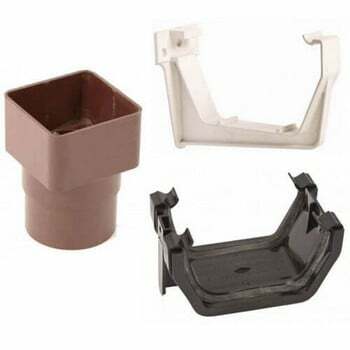 Polypipe 112mm square rainwater guttering comes in brown, black and white finishes and Polypipe metal gutter brackets are available including steel rise and fall brackets.